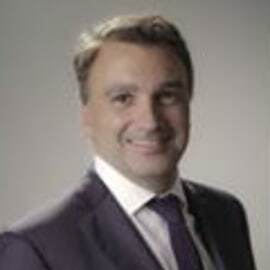 Gonzalo Yelpo holds a Juris Doctor from the Faculty of Law in Uruguay, also holds an Executive MBA from IAE Business School in Argentina and a Diploma in Air Law from IATA. Among other positions he was Legal Director of Pluna, the Uruguayan flag carrier and President of Uruguayan Board of Airline Representatives. Currently he is Legal Director of ALTA, the Latin American and Caribbean Air Transport Association. He also is a partner at Yelpo & Facal, Uruguayan law firm specialized in corporate law. He has extensive experience in the airline business sector, its regulatory framework and in public-private sector relations. His experience as head in house Counsel of an airline and an airline trade association, together with counseling lessors, financers and other airline providers, together with his experience in litigation in airline liability, gives him a broad experiense in the airline business. He lectured in several conferences and seminars for ICAO, IATA and the International Bar Association among others, and he is Chair of the ALTA Aviation Law Americas Conference. He is fluent in Spanish, English and Portuguese.